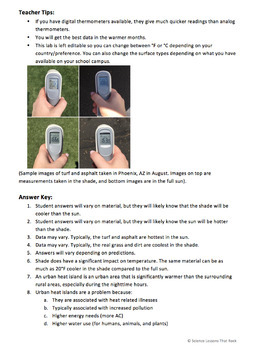 Teaching environmental science or sustainability? 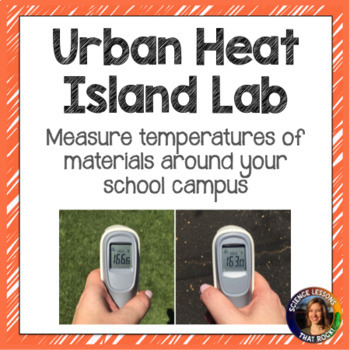 In this experiment, students will measure the surface temperature of materials around campus (concrete, grass, dirt, asphalt, turf) and relate it to the Urban Heat Island effect. This lab is fully editable so you can customize the surfaces to fit your school campus. 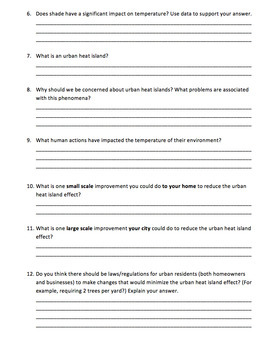 Included is a 2 page student lab worksheet and 2 page answer key/teacher tips. 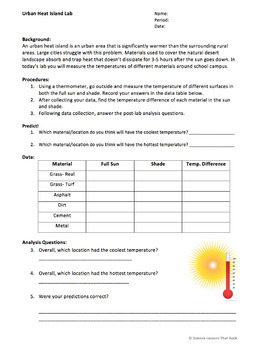 You will need thermometers (digital are ideal but analog will work) to complete this lab.